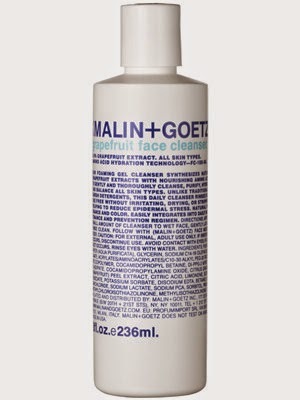 Malin+Goetz say that this cleanser "helps prevent blemishes as well as providing hydration with its combination of a naturally anti-bacterial grapefruit extract, and amino-acid based cleaning agents". This smells divine and citrusy, like grapefruit funnily enough! The cleanser is a clear glossy gel that lathers nicely and is quite effective at removing a normal amount of makeup. I found it quite heavy and sticky though (I think "gloopy" is the technical term) and really difficult to rinse off completely, and after spending ages removing it, still felt like I was left with a residue on my skin. I tried it a few times just to be sure to be sure, but each attempt bore the same results. In addition, it broke my skin out like no one’s business. This has never happened to me so intensely from using a product. I haven't had skin this bad since my teens. It's practically a bag-over-my-head situation. To be honest I’m quite upset about it, so it's a strong no-no from me personally but you can check it out here if you're interested. This retails at €32 for 8oz. 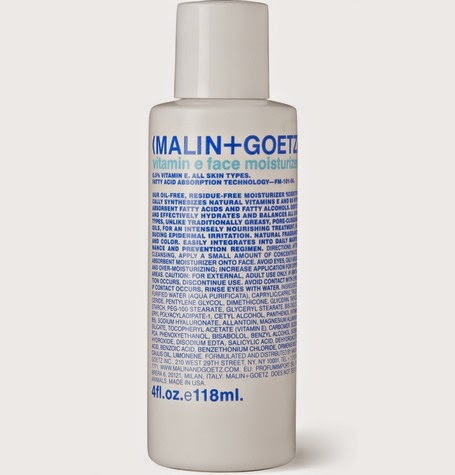 Malin+Goetz say that this oil-free super-absorbent moisturiser is "hydrating, pH balancing, doesn't leave a residue and is suitable for all skin types" (why would a moisturiser leave a residue? I'm scratching my head...) They then go on to say to avoid oily areas (for my skin, a big Grrrrrr). So I used this and avoided my t-zone, which meant I was only moisturising my cheeks and neck, which felt a bit ridiculous. I used only a tiny amount as it states that over-moisturising is not recommended but, just like the cleanser, I found this to be thick and heavy on my face, and I'm not sure I agree with their comments about "no residue". Another no-no. Check it out here. You can buy 4oz of this for €46.00 or 8.5oz for €84... I can hear the collective shrieks as I type. The happy ending to this tale of woes! Short story, this stuff works, really well. My lips tend to become very dehydrated during the winter and my pre-schooler is even worse. The poor little mite gets really sore cracked lips (we are all trying to work on drinking more water) but this treatment replenishes moisture quickly. I don’t like the heavy sticky texture (more gloopiness) but in fairness, considering it restores dry irritated lips to their former soft and smooth glory, I’m willing to overlook it. It's similar enough in texture to the Dermalogica Renewal Lip Complex but this just blows it out of the water. You can pick up a .35oz tube for €12 (or a gorgeous jar of the tubes for €775, just sayin’) and you can have a peek at it here. 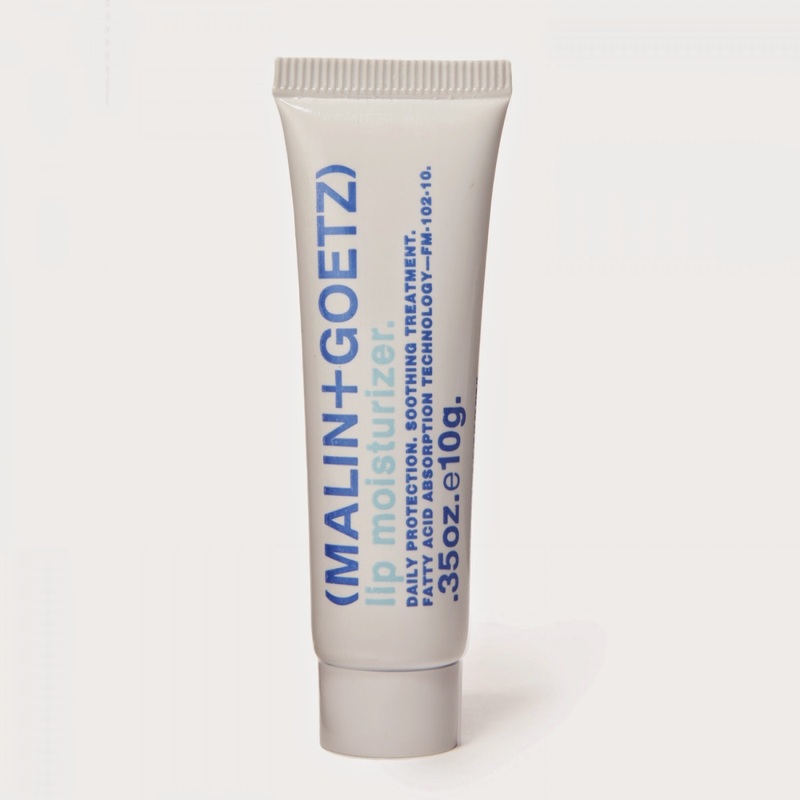 This seems to work at a deeper level than your usual lipbalms, and because I’m eager for myself and my little ones to have healthy and comfortable lips this winter, I’d be willing to shell out (for a tube that is, although the jar is beautiful). So this set was a mixed bag for me, mostly bad unfortunately, and I’m left feeling a little sorry for myself with these nasty red spots that are plaguing me at the moment. Obviously some people swear by these products, but this particular trial didn't work well for me. That's it for me for today. Until next time, I’ll be the one dipped in concealer.